There’s a reason the phrase “inside baseball” has come to be used. 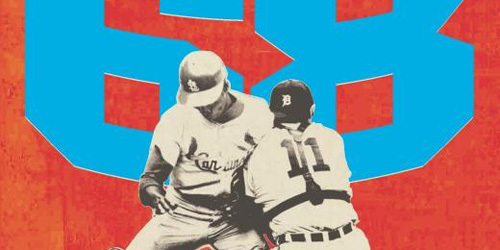 And the phrase represents the problems with trying to determine who will want to read the rather awkwardly titled Summer of ’68: The Season that Changed Baseball – and America – Forever by Tim Wendel. 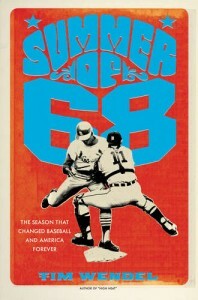 If you’re a baseball fanatic, you probably already know about every detail, every fact in this account of the 1968 World Series. If you’re not, you won’t be able to relate to the names that pop up on every page – many of the details seem to pile on without context. And then there’s the problem with the sub-title. Yes, there were assassinations and riots that year that horribly marred the country’s history, but this reader felt that Wendel never adequately made the connection between the socio-political events and the sport covered here. The story of Curt Flood of the St. Louis Cardinals will spark an interest for some – but, again, if you’re not already a deep-in-the-weeds baseball fan, this retelling will not mean much. Wendel also tries a bit too hard to make the case that Bob Gibson may have been the best pitcher ever – a case that won’t convince fans of Sandy Koufax and others. Summer of ’68 is sometimes interesting, but more often it’s just passable reading.